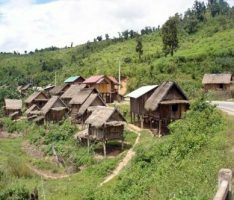 Ban Nam Sang Hill-Tribe Village -The best kept secret in Huay Xai is the Ban Nam Sang hill-tribe village. Less than 20 kilometers or only an hour ride on bumpy road from Huay Xai. 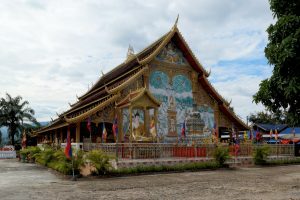 The village hosts to a large population of the rare Lao Huay ethnicity. It is best not to bring gifts or items such as sweets, T-shirts, pharmaceuticals as it is felt that these may threaten their traditional ways. However, if visitors want to help they can donate some money or discreet gifts to the headman. Such money will be used for the village school. A reminder, visitors are recommended to check-in with the village headman (phuu nyai baan) first.